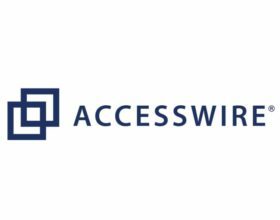 The National Crowdfunding Association of Canada is excited to present a comprehensive full day workshop in collaboration with a leading crowdfunding solutions provider and expert, HiveWire. If you are planning to launch, design and market a successful crowdfunding campaign (or have a live one on the go), this is a must attend accelerator style 1-day workshop covering every aspect of crowdfunding from ground up. Learn how to leverage data-driven insights gained from analyzing over 400,000 crowdfunding campaigns and launch your campaign with confidence. "A great workshop. Quick and to the point, backed by stories from successful campaigns" - Mike W.
Limited number of tickets available (Boardroom seating)! This workshop is for individuals and groups interested in maximizing the potential for using crowdfunding to raise capital and engagement for their business, organization, or project. Workshop sessions are suitable for all organizations including new ventures (start-ups), small to medium-sized businesses, enterprise, social ventures, not-for-profits, creatives and more. Launching a live Crowdfunding campaign in the near future or have one on the go? 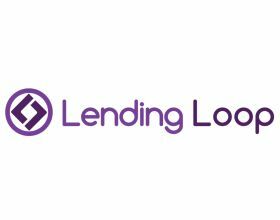 Interested in staying on top of the latest financing and capital raising trends? Wondering how your company can create a corporate program and leverage social media engagement and the power of crowdfunding / crowdsourcing? Want to learn how the quick emerging Crowdfunding industry can help your business as a provider or consultant? Are you an entrepreneur or organization interested to raise capital to move your business from concept to reality? Want to learn more and get involved with the Crowdfunding industry association to connect and network with Crowdfunding leaders? Hungry for data? Learn comprehensive and data-driven learnings from a diverse set of campaigns from all industries. During the morning you will understand how crowdfunding works with all core components of a crowdfunding campaign covered, from pitch development, video and creative production, choosing your target to campaign testing. 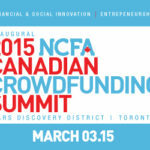 Have your questions answered by the crowdfunding experts. Campaign best practices: Understand the size, scale, and scope of crowdfunding and how you can take advantage of it. Metrics of success: Learn the critical factors to crowdfunding success and that crowdfunding is more than just about raising money. Developing the pitch and story arc: Understand the critical campaign components, from making the video to choosing your target, campaign budgeting and designing rewards that stand out, to testing your campaign. Case studies: See important examples of both successful and unsuccessful crowdfunding campaigns that you can learn from. Idea facilitation: Leave ready to start planning your crowdfunding campaign. Network and resources: Learn about expert resources to help you plan and execute a campaign. Deciding to create a crowdfunding campaign is truly only the beginning of an intensive process. We’ll provide you the crowdfunding essentials alongside the proprietary information that you need to plan, design & create your crowdfunding campaign content. This will help you establish a foundation upon which you can then execute and successfully see your crowdfunding visions through to completion. This is an interactive workshop where you have a chance to share your own campaign ideas and receive feedback and guidance. You will leave with an understanding of critical campaign pieces, the tools and knowledge you need to create the ideal content for a successful crowdfunding campaign, and have fresh ideas as to what to include in your campaign. You will leave with confidence, knowing you have taken the right step forward on your way to make your campaign a success! Planning, Tracking & Iterating Your Strategy: You will learn practical information, strategies and tips to help you create and make relevant updates to the content of your crowdfunding campaign. How To Turn Backers Into Champions: Engage your backers and turn them into early adopters and brand champions of your campaign. Assessing, Preparing and Leveraging Your Networks: Determine the most important segments of your target market and network and learn to leverage these effectively. Using Social Media and Marketing Beyond Social Media: Developed from proprietary data insights, we will show you how to go beyond the basics of social media marketing for crowdfunding. Campaign Facilitation: Get a head start in your campaign planning by receiving professional guidance and peer review of your campaign or project. 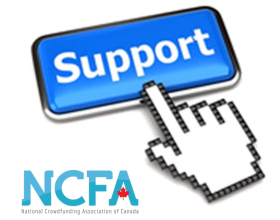 Craig Asano is the Founder and Executive Director of the National Crowdfunding Association of Canada (NCFA Canada), a cross-Canada non-profit with the mandate to provide education, advocacy and networking opportunities in the emerging Crowdfunding industry. 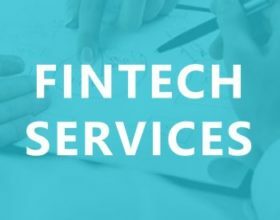 Craig is actively involved in developing the Canadian Crowdfunding industry at a grass-roots level connecting with industry stakeholders, leaders and key participants across the country. Craig has over 15 years of experience as a marketer, software technologist and start-up entrepreneur in technology, finance, manufacturing and real estate sectors. TICKETS ARE LIMITED - SEE YOU THERE! !